Although Toni Braxton and Birdman have made plenty of headlines regarding the speculation the two have been romantically involved, one thing not up for debate is that both are focusing on their music in the new year. While their relationship status is still a bit of a mystery, with rumors brewing that they have secretly wed, the two have recently teamed up in the studio, releasing a new joint record, "Heart Away." 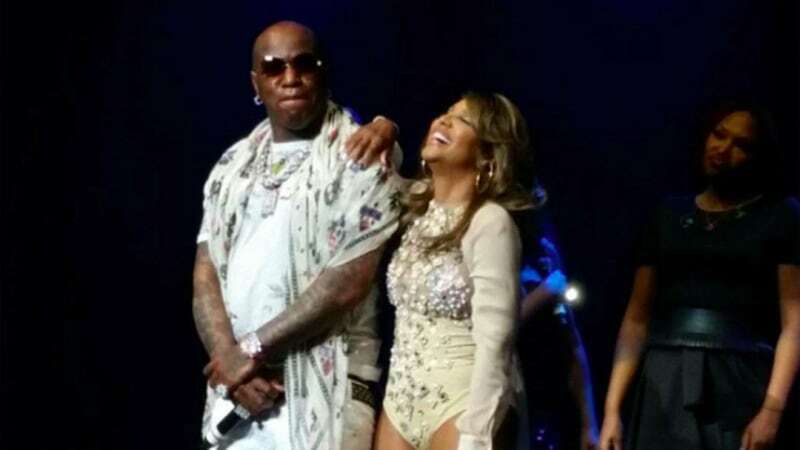 Rumor Report | Toni Braxton and Birdman secretly got married? The track, which made its debut on Braxton's Audiomack page on Saturday (Jan. 14), is a rework of Derez Deshon's 2017 track "Hardaway," featuring production by London On Da Track. Per Complex, a rep for Birdman explained he wanted people to be aware of the fact that he and the famed R&B singer-songwriter are "working on new music as an item." While whatever that may mean remains up for interpretation, take a listen to Toni Braxton and Birdman's new collab, "Heart Away," below. Rumor Report | Toni Braxton & Birdman team up for new song "Heart Away"